There is a saying in Missouri "If you don't like the weather, stick around, it will change" Ya'll, Missouri weather is 18 times of crazy, in the last week, we have seen temperatures in the high 50's and in the low teens, we have seen rain and snow, thunder and lightning, sun and clouds. I am so ready to see blue skies, puffy clouds, bright sun and temperatures in the 80's! While I try my best to NOT let the weather get to me, the dark dreary wet days really put me in a funk. I want to sleep all the time, or rather lay on the couch with a good book. I don't want to leave the house, it makes it impossible to get good pictures...it is just Yucky! So...I made a little something to make me happy, feel warm and fuzzy and brighten my day with the flavors of the tropics! 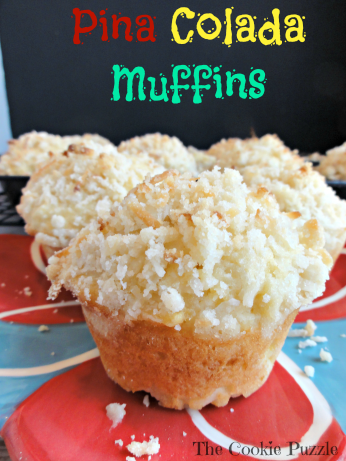 These Pina Colada Muffins, just scream tropical. I would have put a cute little drink umbrella in them..but I did not want to go to the store, as I was loosing what little sunlight I had very fast. These muffins are packed full of pineapple and coconut, which remind me of a Pina Colada, hence the name of them. I do have to tell you that these muffins are all about the topping. Do you love the crumble topping on muffins as much as I do? Ya'll, for me the topping is the best part. So, I doubled my original recipe so that there was an abundance of topping, because it is the best part, don't ya know? But, if you are not a topping loving freak like me, feel free to cut the topping recipe in half, they will still be yummy. Oh...and they get better over time...the flavors just get better and better, and if you pop them in the microwave for a bit..you have a warm muffin to warm you up a little, because warm muffins are the best, right? Preheat oven to 350 Degrees. Prepare muffin tin with either wrappers or spray well with non-stick baking spay. In a large bowl, combine, flour, sugar, baking powder and salt, set aside. In a small bowl, combine melted butter, milk, pineapple juice eggs and vanilla, mix well. Mix wet ingredients with dry ingredients just until combined, small lumps are ok. Gently fold in the coconut and pineapple. Fill muffin tin with batter, I use a large cookie scoop, the tins will be 3/4 full. I got 12 muffins.Prepare topping. Combine flour, sugar and coconut, stir in melted butter, this will be a crumbly mixture. Generously top muffin batter with topping. Bake for 25-30 minutes until tops are lightly brown and tooth pick inserted into middle comes out clean. Cool for 10-15 minutes in tin, then remove to cooling rack to completely cool. Store in airtight container. Muffins are meant to be piled high with topping, right Blair! These muffins look yummy! Thanks for the recipe. I'm pinning! Oh Ashley...I have been singing that song since I made them...stuck in my head big time...quick...give me a new song to sing! Yum! I love anything pineapple & add coconut & I'm in heaven. That topping looks divine! If you want crazy weather come to Texas. We'll have a high of 70 today & tomorrow a high of 49! Over it! Come on Spring! I will take your low of 49 anytime...send it this way Melissa! Today...low of 12, high of 30...and snow flurries...YUCK! We need to move to the Tropics! Hi Kim, The cupcakes look delicious. I just stopped by from Treasure Box Tuesday. Pinned this so I can remember to give them a try, we love coconut. I'm with you on this whole weather thing... 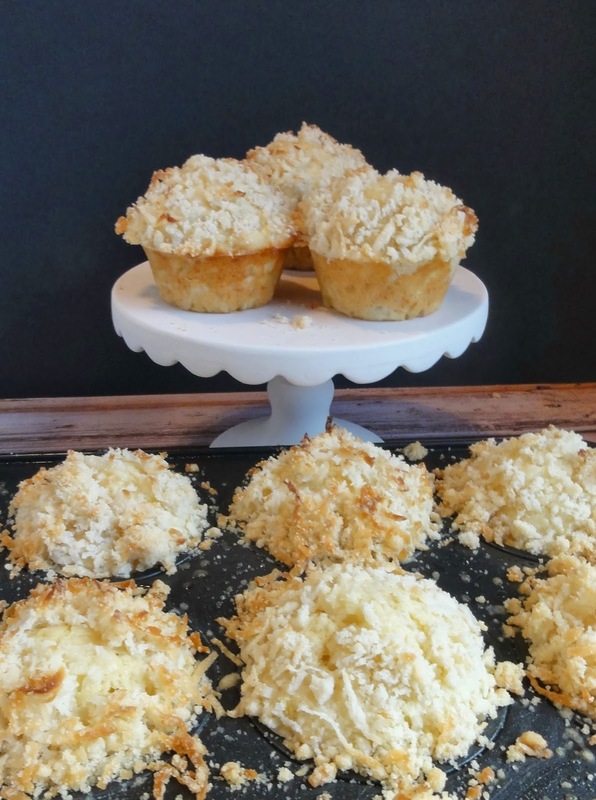 But did you say Pina Colada Muffins??? These have got to make any dreary day better! These sound fantastic! Great post Kim!! Thank you Tami...we actually got snow tonight...snow...what the heck...good thing I have these to keep me warm! These look awesome, Kim! It's like- if frozen pina coladas are for summer, warm toasty pina colada muffins are for winter! These look so good! I am hosting a giveaway on my page this week (posted Monday) and I would love if you would stop by and check it out! Sorry I just posted and forgot to tell you Thank you so much for sharing it on Four Seasons Blog Hop. Pinning Now. Thank you Shawna....I think if I had a sister in Florida....I would slowly make the move there too, one piece of clothing at a time! Thank you Allie...heading to your blog now to link up...I love Link Parties! Looks so good! Thanks for linking up at The Four Seasons Blog Hop! Sandra from Scrumptilicious 3 You! Thank you Sandra! And thank you for hosting such a wonderful Link Party, I have really enjoyed it and have been able to find some amazing blogs to follow from your blog. 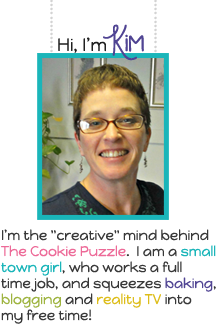 Congratulations on being featured at "Treasure Box Tuesday"! Thank you Melissa! I was so honored to be featured on Treasure Box Tuesdays". FYI...Loving the second book in the Cedar Cover Series....I can not thank you enough for recommending it! I am loving the sound of these!! They look beautiful AND delicious! Can't wait to try them! Thanks for sharing on Saturday Night Fever - pinning now! Hope to see you back tomorrow! Is that 1/2 stick of butter or 1/2 cup of butter? Hi Melinda.....it is 1/2 cup butter, melted. Thanks for pointing that out for me. Fixing the recipe now. I am so sorry. You had me at Pina Colada! These muffins looks yummy!! !